It joined the Walosi Clan and point cost is down to 33 points instead of 36 points. 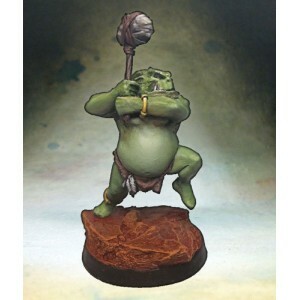 Suggested faction blitz list: Tapiocah, chaman medecine crapaud, 2 Toad-thunder warrior and 2 Horned Sentinel (179 points, 6 miniatures). Some hemotoxic in this brutal’s world!